Laurent Gbagbo and Charles Blé Goudé (Photo credit: Coalition for the ICC). ICC Trial Chamber I has this morning acquitted Laurent Gbagbo, former President of Cote d’Ivôire, and his co-accused, Charles Blé Goudé, former Youth Minister, from all charges of crimes against humanity committed in Cote d’Ivôire in 2010 and 2011, following the disputed Ivorian elections. In the back row from left to right: Judge Olga Herrera-Carbuccia, Judge Cuno Tarfusser and Judge Geoffrey A. Henderson during the opening of the trial of Laurent Gbagbo and Charles Blé Goudé, 28 January 2016 (Photo credit: ICC). Judge Geoffrey Henderson and Judge Cuno Tarfusser (presiding) forming the majority, Judge Herrera-Carbuccia dissenting, found that the prosecutor has failed to submit sufficient evidence to demonstrate the guilt of Mr. Gbagbo and Mr. Blé Goudé. The Court further held that the prosecutor has failed to demonstrate several core constitutive elements of the crimes charged, and concluded that the prosecutor could not establish that there was a common plan to commit crimes to keep Gbagbo in power; nor could the prosecutor prove that Gbagbo and Blé Goudé were part of a common plan or policy to attack civilians. 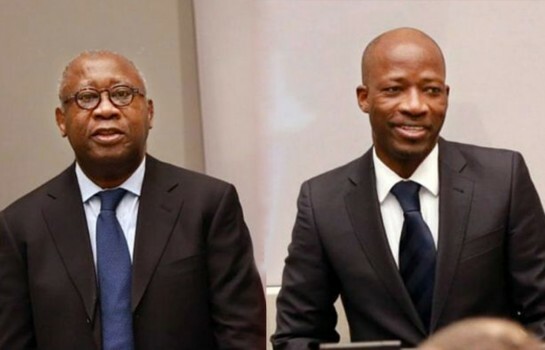 Accordingly, the Court ordered the release of Mr. Gbagbo and Mr. Blé Goudé. The Court will hear the observations of both the prosecution and defence on this decision tomorrow, 16 January 2019. Laurent Gbagbo, detained by the ICC since 30 November 2011, is the only former Head of State to be tried by the Court. 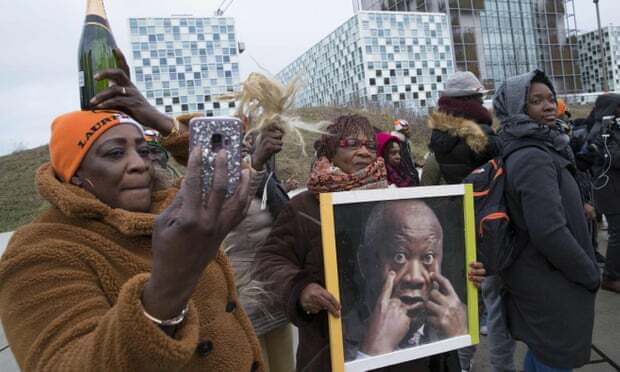 Pro-Gbagbo demonstrators outside the ICC today, 15 January 2019 (Photo credit: Peter de Jong/AFP/Getty Image). In June 2018, by majority of 3-2, the ICC Appeals Chamber similarly acquitted Jean-Pierre Bemba Gombo, a former Vice President of the Democratic Republic of Congo (DRC), from the charges of war crimes and crimes against humanity committed in the Central African Republic (CAR). 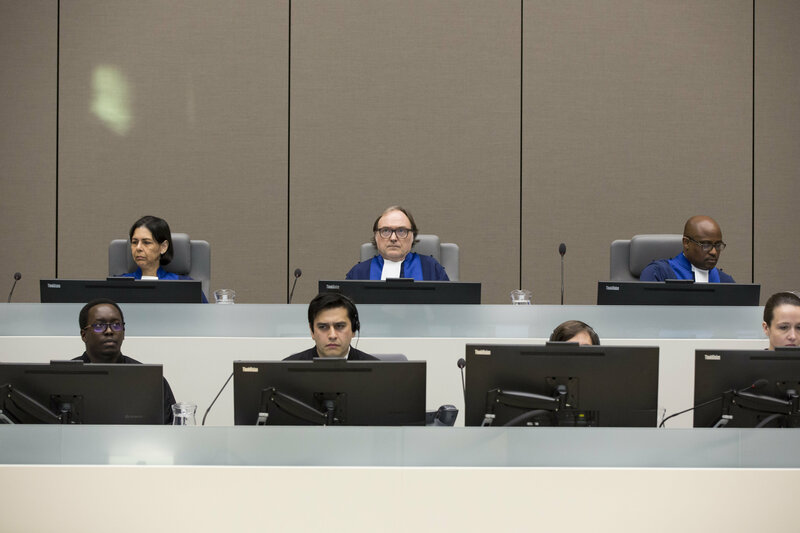 These developments should prove to sceptics that the ICC is a serious Court composed of independent judges, who may disagree with their fellow judges. The ICC is not a kangaroo court that is just there to convict. ‘This is a historic decision, and we applaud the courage of the judges in rendering a decision that reflects what we observed during the trial. The prosecution has once again failed victims and truth seekers. It seems the prosecution focuses first on individuals, instead of the facts’.